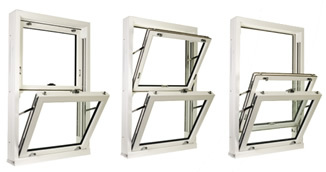 ECOSlide PVC-U sash windows function like a traditional box sash window with both the top and bottom sashes sliding up and down to suit your ventilation requirements. ECOSlide PVC-U sash windows are incredibly low maintenance, requiring only a quick wipe down with a damp cloth to keep them looking as good as new. Its the little details that help make ECOSlide sash windows as authentic as possible. Our PVC-U windows are designed to be smooth and sleek with slim profile sections giving a better appearance, which is pleasing to the eye as well as offering improved views from the inside and outside.